In the more than 20 years that mankind all over the world has been treated with thousands of crop circle formations, nobody was able to explain this phenomenon. 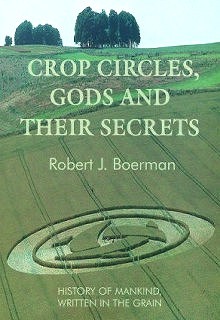 In this engaging written book you can read how beside a scientific and historical section the author links two separate crop circles, both near Alton Barnes. They contain an old Hebrew inscription and the so called Double Helix. They yield the name of the 'maker', his message, important facts and the summary of human history. This resulted in the commencement of cracking the crop circle code. Read who the gods were and how they are still among us to prepare us for the coming dimension transformation by splendid crop circles.